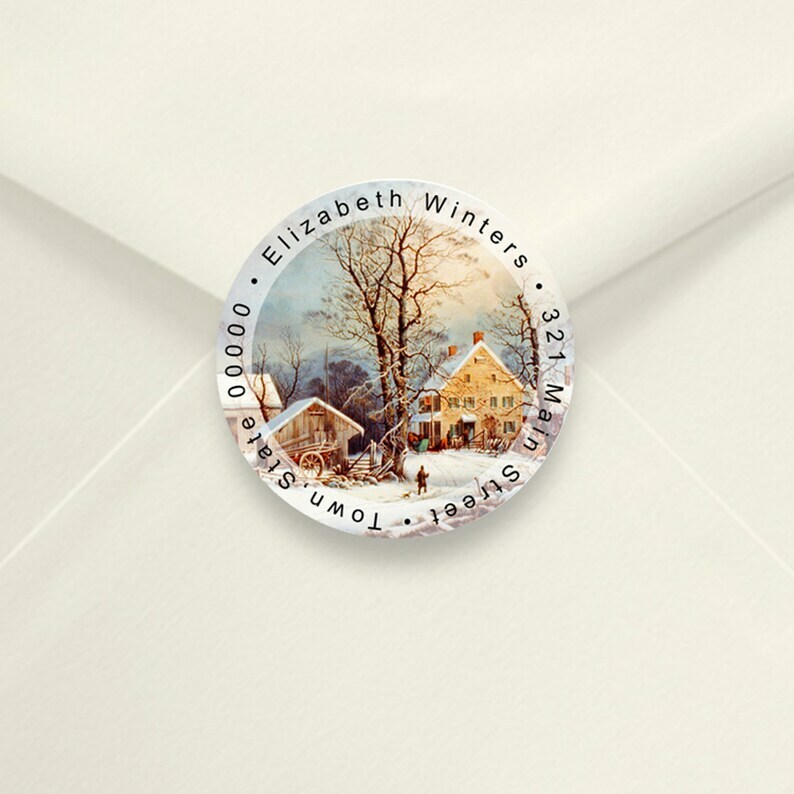 Winter Scene 2 Inch Round Return Address Stickers. Minimum Order 75 Return Address Labels. On your cart page is a text box to add a note / instructions to personalize. Type the address for your labels in that text box. A proof of your address label will be emailed to you. Your order will remain on hold until you approve the proof for print production. Production time: Please allow 3 to 5 business days to make your address labels and then they will ship. Shipping upgrades are available at checkout if you need the shipping company to deliver your order faster. Art Deco Wedding RSVP, Featuring Black Art Deco Design On White Shimmer Card, Printed Return Addressed White Envelopes Included. Just love these beautiful hard to find old world styled return address labels:) They will add a lovely touch to my X-mas card envelopes this year! Very speedy delivery too, Thank you!! Art Deco Black Wedding RSVP, Featuring Gold Or Silver Foil Art Deco Design And Text, Printed Return Addressed Envelopes Included.